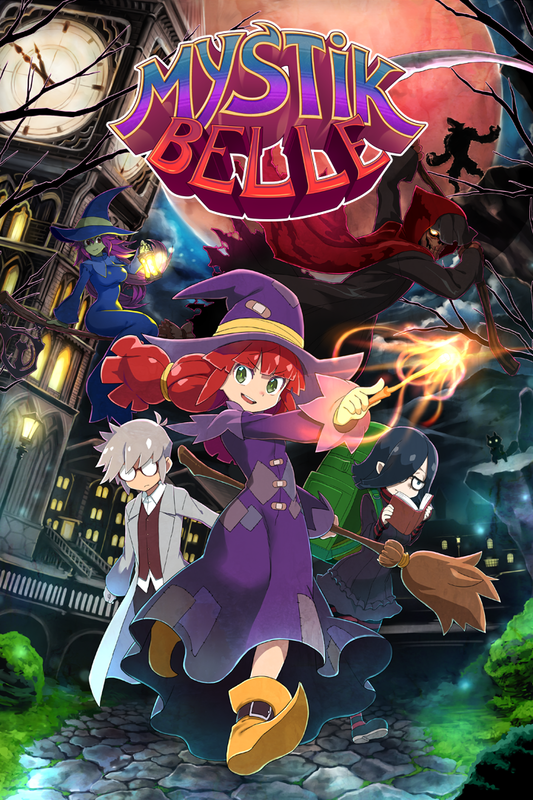 Mystik Belle is out on PS4 and Xbox One today! Today is the day Mystik Belle comes to modern consoles with the help of the awesome WayForward! I am still waiting for any kind of review scores to roll in, but it can't possibly do much worse there than it did on Steam. In fact I don't think it's even possible to do worse. Meanwhile, the game is still available on Steam, as well as DRM-free via itch.io, Gamejolt and Humble. So, once again today I'm sitting at a crossroads, all hinging on how well the console version does. Hopefully I will know soon, so I can make plans accordingly. Best case scenario - I'll be able to finish LOI without having to worry about picking up more freelance gigs. Mystik Belle is out via Humble Widget! Hey guys - my newest game, Mystik Belle, is finally out via the Humble Widget. If you decide to purchase it at some point - it's probably the way to go, as you get the DRM-Free copy of the game, Steam code, and Desura code once it becomes available. 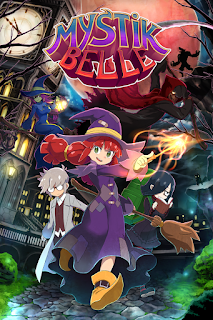 Mystik Belle to be released on Steam this Friday. Hello guys and gals! Mystik Belle - an adventure-metroidvania hybrid game I've been making for the last 6 months comes out on Steam this Friday. All Kickstarter and PayPal backers who backed Legend of Iya for $10+ will receive a free copy just as soon as Humble Store acknowledges my existence. Since I am the only person doing all the development, marketing and PR - it would've been awesome if anyone who read this could at least tell friends about the existence of this game, be it word of mouth, twitter, or a blog post. Furthermore - if you have a youtube channel or a game review blog - let me know, and I'll provide you with an advanced copy of the game. Ultionus: A Tale of Petty Revenge out on OUYA. Featured in Play Like a BAWB. So, I have finally figured out the OUYA-specific in-app purchase system and as a test implemented it in Ultionus. If you own an OUYA and want something oldschool to play on it, or just want to play an oldschool game on a TV and not a computer monitor - give Ultionus a try! Now back to streamlining Iya's movement. The game has finally been approved by Desura and will be released on January 1st. Meanwhile it is up for pre-sale right over here. Meanwhile I am still trying to figure out how to generate keys across platforms - so Desura buyers would get the game on Humble Store and vice versa. Anyone knows of an easy guide of how this is done? Yes - my only other finished project is Maziac. It's a fairly terrible exploration platformer that might look a little like Spelunky, but was made years before Derek Yu's mega popular random generated game. Well - it has now been added to the "Finished Projects" section along with Ultionus. Ultionus: A Soundtrack of Petty Revenge is up on bandcamp. The awesome Jake 'Virt' Kaufman has just released the full soundtrack of Ultionus on bandcamp. Working with this guy was amazing - I hope you like the way the game sounds.